Investing In Gold & Silver > Smart Tips To Help Reach Your Goals! Investing in gold and silver can be a great strategy for diversifying your portfolio and planning for your future. But before you make an investment, there are a few things you should know. – Have you considered the potential benefits of investing in different types of gold or silver? – Do you know which types of assets you should include in your portfolio, or how much? – Where will you purchase your precious metals, and how will you know if you’re making the right decision? – Have you considered how you could benefit from placing gold or silver into a retirement account, or are you looking for shorter-term gains? These are all important questions that every investor should ask as they begin weighing the unique advantages of precious metals. If you’re not sure where to start, or you’ve already begun investing but aren’t sure if you’re headed in the right direction, use the tips below to guide you. When investing in gold and silver, you’re not limited just to bullion. Yes, gold and silver bullion could be a smart way to protect and preserve your lifestyle for the future. But, if you want to diversify your portfolio even further, then you may want to consider other types, such as numismatic gold and silver coins, or collectors-grade Proof coins, among others. Each option has its own unique benefits. Take the time to compare all your options to see which investments fit your goals. Let’s look at just one example: gold bullion coins vs. numismatic coins. – Gold bullion coins are extremely liquid assets, because their value is determined almost entirely by their gold content and weight. Many investors consider them to be a valuable way to diversify a portfolio because when paper stocks, bonds and mutual funds react negatively to “external” factors, such as economic conditions or world events, the value of gold bullion coins has historically moved in the opposite direction. 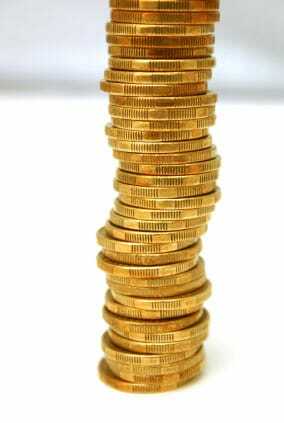 – Numismatic gold coins (minted prior to 1933) are unique in that their value is influenced not just by their gold content, but also by their scarcity and condition. Thus, some investors choose to invest in numismatic coins for their growth potential. Investing in gold and silver (Learn More) can also be used as a retirement planning strategy. With precious metals IRAs, you can enjoy the tax benefits of a retirement account, while investing in a variety of gold and silver assets. Choose your precious metals firm wisely. “Where” you get your investments is virtually just as important as the investments themselves. Make sure you partner with an established precious metals company that offers a variety of options for individual needs, and the expertise to provide you with guidance along the way. These tips barely scratch the surface of all the information you should consider when purchasing precious metals. Get personalized answers to all your important questions by contacting the knowledgeable specialists at Birch Gold Group. Birch Gold is rated A+ by the Better Business Bureau and is dedicated to helping its clients protect their lifestyle in the face of current and coming economic instabilities with investments in gold and silver. Get more information on the many different types of precious metals we offer, and their individual advantages, by calling (800)355-2116 or by filling out the form on this page.